This is a must-read for mothers, reaffirming that we are all connected by experiencing the magic of being a mama. So many parenting books out there actually have very little in them about the parents. Lucy on the other hand writes from the heart of the mother to all mothers. She talks of the joys and the love of having children but she also talks of the things unspoken; about anger and guilt. It has been so helpful to me to read of a real mother, so much like me, so much like all of us. Reading this book I feel I am walking along side others, I feel comforted by the fact that I am not alone in my mixture of feelings, my mixture of abilities. The book is beautifully written and laid out. The topics allow you to dip in and out and to flick through to those words of wisdom and support that you need right now. I cannot recommend this book enough!! 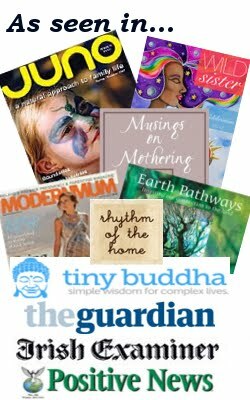 Moods of Motherhood took my by surprise – normally, I devour books, reading them in just a couple of sittings. This one I have savoured. I read an entry or two – for that’s what the chapters feel like, a glimpse into someone’s personal diary entry. Then I sit back and I marvel at how well Lucy has managed to convey the mixed emotional bag that is motherhood. In one entry she captures the sheer joy of watching your children grow and learn, and I think “yes, that’s what motherhood is all about” and in the next she writes of the mind-numbing frustration that you can feel, and I nod along and think “Yes, I have been here too.” Sometimes it can feel like we are going through this parenting journey alone, but I loved Lucy’s book because it reminded me that we are not alone, that the highs and lows of motherhood are normal, real, and to be embraced. I feel like I have sooo much to thank you for even though I have never met you!! I want you to know you have helped me so much over the last few months. Your Moods of Motherhood book was a really amazing read that moved me so much – thank you for being so honest about the highs and lows of your experience. I’ve just finished reading the e-book version of Moods and within the first few pages I had a lump in my throat. The kind you get when you try very hard not to cry. I was just so overwhelmed by how understood and acknowledged I felt. I’m not crazy, I’m not alone in these feelings of discouraging unfulfillment, despite having what should be considered a good life, with a child and husband who loves me but just doesn’t “get it”. I’ve tried to repress my aimless creativity as silly unproductive hobbies, but never considered them as valid needs within me. Thank you for showing me that I’m not alone, and for encouraging me to make space for me to express myself. I look forward to reading The Rainbow Way in November. A sincere and emotionally evocative look at motherhood that will have every mother and mother-to-be whisked off on an adventure through every possible scenario, emotion and transformation that motherhood inevitably brings to all of us. Lucy’s frank and forthright style paired with beautiful, haunting language and her talent for storytelling will have any parent nodding, crying and laughing along – appreciating the good and the bad, the hard and the soft, the light and the dark.A must-read for any new parent, particularly mothers. Lucy’s column and blog helped me through my own parenting journey, and Moods of Motherhood will be a wonderful companion to the new mother as she finds her own way through the maze of wonderment that comes with becoming a mama. Consider this a tribe of mothers to carry with you wherever you go, so that you can find comfort and companionship at all times – especially when those mothers around you are putting on a brave face! I am a mother and found having one and then two children overwhelming. This book made me feel that I’m actually not doing too bad a job and also that I am one of many! I am the slowest of readers but I read this book in half a day, I was so inspired by the honesty in it and finally felt I could relate to someone else’s mothering experience. The author, Lucy H. Pearce has inspired me to re-find aspects of myself that I thought motherhood had wiped out. I would highly recommend this book, it is a treasure. I love the comparison Lucy makes with Mothering being like a layer cake…there are the yummy parts we savour and love and the boring sponge representing the monotony and drudgery motherhood also brings! This is a book that inspires you and gives you comfort you are not alone in all the ups and downs of life as a mama. Lucy’s honesty about her life as a full time homemaker, with 3 children and a multitude of other hats she wears will take you on a gentle roller coaster ride of emotions! I laughed and cried all the way through this book, and identified with so much of it! Hugely recommended to all mothers…and fathers if you want some insight into our lives!